So says Goldrunner (www.GoldrunnerFractalAnalysis.com) in excerpts from an article edited by Lorimer Wilson, editor of www.munKNEE.com. This paragraph must be included in any article re-posting to avoid copyright infringement. The fractal relationships to the late 70’s are driven by the aggressive Dollar Devaluation in both periods, with the current period one Elliott Wave Degree higher. Both periods present as pure 5th wave parabolas in Dollar Devaluation, and thus, in the Gold and Silver Charts. We are seeing a price expansion in the current Vth wave versus the 5th wave of III in the late 70’s for Gold and for Silver. We have noted for years that the Fed “owns” the psychology of the markets. The Fed is in the process of converting the Deflationary K-Winter into a period of Stagflation. “Stag” refers to the very sluggish economy, and “flation” refers to rising inflation created by the aggressive Dollar Devaluation. The Fed and its banks blew out the loan multiplier system for providing new Dollars directly into the economy in 2007 and 2008. The 2nd round of Dollar Inflation is via the Fed printing new Dollars to buy US Government debt- pure debt monetization and default on debt. Thus, they are devaluing the huge load of debt by devaluing the US Dollar. The big trading banks dominate the markets. They do the “bidding of the Fed at key junctures.” This is a process of rotating liquidity into the different asset classes that must be supported in the process of changing the cycle during the 2nd leg of debt monetization. It is the devaluation of the US Dollar that ultimately creates the price rise in Gold, in Silver, and in the PM Stocks. The only true read on the Dollar Devaluation is through the rise of $Gold so the true devaluation of the Dollar can be hidden from the market at key times. In reality, it is the market that creates the devaluation of the Dollar against Gold creating the Gold Parabola so the psychological whims of the Fed can muddle the psychology of the markets. The Gold parabola rises in fits and momentum runs as the market devaluation of the US Dollar ebbs and flows around the psychological effects of what the Fed says; accompanied by the help the Fed receives from entities trading with the Fed’s words. As Jim Sinclair says, this is complicated stuff. Per Mr. Sinclair we already have approximately $1.3 trillion that were printed and sent to Europe. The markets have not factored this into the price of Gold, yet. Once it does, we should see Gold rise sharply. Remember that it only took $600 Billion of new QE printing to drive Gold up to $1920 in 2011 as per my forecast back in January and April, 2011 in my article entitled Goldrunner: Gold on track to Reach $1860 to $1,920 by Mid-year (gold reached $1,917.20 in late August, 2011 and $1,923.70 in early September, 2011). All of the US Debts must be on the US balance sheet before Gold goes completely parabolic, for full devaluation of the Dollar and the debts. This is the essence of the question that a Congressman asked Tim Geithner. Tim delayed until the Congressman tossed out the $20 Trillion and then $50 Trillion numbers. Mr. Geithner responded that the number would make the Congressman “uncomfortable.” GEITHNER IMPEACHED BERNANKE’S COMMENT ON “MAYBE NO MORE QE” WHEN HE BASICALLY ADMITTED WE NEED QE IN SPADES GOING FORWARD. Mr. Geithner confirmed that the number of Dollars that must be printed to cover off-balance sheet items is huge. This covers items like unfunded Social Security, unfunded Federal Pensions, future unemployment claims, and the losses of Fannie and Freddie through the end of 2012. Home Delivery Available! If you enjoy this site and would like to have every article posted on munKNEE.com (approx. 3 per day of the most informative articles available) sent automatically to you then go HERE and sign up to receive Your Daily Intelligence Report. We provide an easy “unsubscribe” feature should you decide to opt out at any time. Unfortunately, investors generally keep looking at the trees on a short-term basis, rather than seeing the forest of Dollar Devaluation. As Jim Sinclair constantly notes, we will see QE to infinity. This means that Gold will go vastly higher than most expect in order to devalue the debt and to balance the US budget. The current markets are completely managed by the Fed and its henchmen. The complete management is a complicated issue as Jim Sinclair has noted. For instance: the Fed and its helpers recently inhibited Gold and Silver at a time when the Greek debt issues were being worked out. It was the Fed’s helpers who had sold the OTC Derivative “insurance” on all of the failed Greek debt. It appears that they hammered inflation expectations to help the deal from go smoothly; and there were cycle timing issues that were already stretched a bit. In reality, most of the Greek Debt holders were forced to take on a different debt series before “default” was declared for a final few. This gives us “insight” that the time in the cycle is short, due to the necessary quick fix deal. Mr. Sinclair has discussing how the US Dollar’s days as the World Reserve Currency are numbered. This begs the question of what effect this will have in terms of the Dollar’s “value.” Personally, I think that new Dollar Supply is most important, but freeing up huge numbers of Dollars with its loss of reserve status could be a reason for a sharp rise in US inflation if all of those Dollars head home – and a large number of those Dollars coming home to roost might find themselves “chasing Gold and Silver” which could add to the process of the markets re-valuing Gold and Silver much higher. In the late 70’s the top in the Gold Chart came as a momentum high into early 1980 with a lower final high coming later. It is possible that we will not see the momentum high before the final high this time, yet it is probable since the continuing deterioration in the economy demands a fairly quick devaluation of the debt before the economy completely rolls over. The first chart of Silver is the current log chart where Silver is trading inside the black trend channel. We can see the exaggerated decline into the deflation scare bottom in late 2012. Silver appears to be correcting in a flag formation at this time. The measured target of a flag break-out to the upside would target the $65 to $70 area at the top of the black channel. We have break-outs on the RSI and the MACD with the RSI trying to hold the Bullish 50 mark. The Fed has already printed $1.3 Trillion to go to Europe, with more QE necessary to buy US Debt. As the markets factor the Dollar Devaluation in, we’d expect to see Silver explode upward on a fundamental basis. It only took $600 Billion in 2011 to drive Silver from around $20 up to around $50. Additional QE to buy US debt would suggest about 3 times the 2011 Dollar Devaluation from Dec. of 2011 to the end of 2012. The timing appears to be supported with this being a Presidential election year. The next chart of Silver is an arithmetic 70’s chart. There was no “deflationary bent” in the late 70’s that caused the steeper retracements we have seen in the current period to create increased volatility in the ever expanding environment of Dollar Devaluation, yet it is obvious that we have not seen the first wave of sharp price expansion in Silver that occurred in the late 70’s. Fractal Cycle timing suggests that it should be directly in front of us, and it appears that the next round of aggressive Dollar Inflation is already underway to fuel that type of move as soon as the market factors the aggressive round of Dollar Devaluation into Gold and Silver. The Silver Parabola is not a smooth flowing form like the Gold Parabola is (as can be seen in a previous article here). We can see that the huge price rise in Silver came almost completely toward the tail end of the 70’s Bull. We are still in a short-term period of potential cycle weakness until options expire for Silver and Gold futures into the end of this week – but the Fractal Cycle suggests that things will heat up soon to see Silver on its way to $70+ in the next up-leg. We have previously laid out our fractal expectations for Gold in 2012 via our article, Goldrunner: Fractal Gold Analysis Says Gold On Way to $3,500 Mid-year. NOTE: A link to the Goldrunner subscription service can be found here. If you would like to be added to Goldrunner’s mailing list to receive his new and Free newsletter, Goldrunner’s Fractal Corner, send an e-mail to GOLDRUNNERBLOG44@AOL.COM . 2. Alf Field Sees Silver Reaching $158.34 Based on His $4,500 Gold Projection! 5. 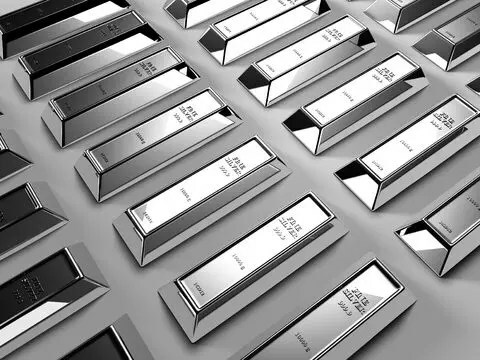 Stephen Leeb: Silver’s Going to $60, $70, by the End of 2012 – Easy! Next Did You Miss These Most Read Articles for the Past Week Ending March 30th? I just read Hubert Moolman’s latest assessment based on fractal analysis and you two seem to be in agreement. I’m not sure if we will see anything go high until after the election…. then the spring will unwind.